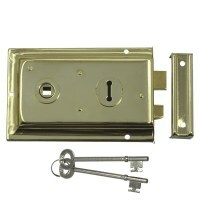 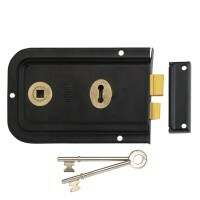 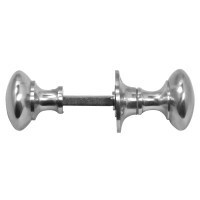 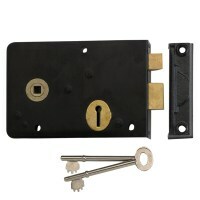 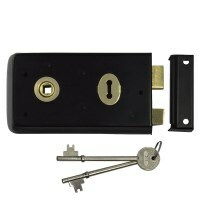 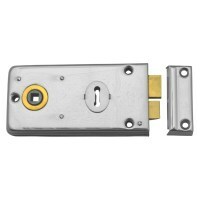 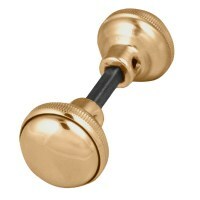 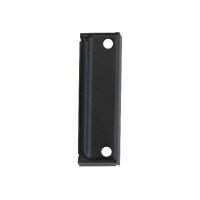 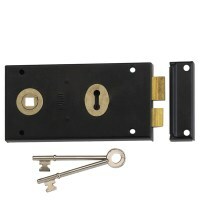 A simple door lock that sits on the inside edge of a door and contains a locking deadbolt and latch bolt. 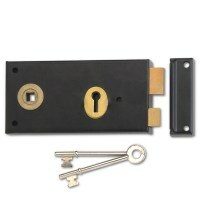 A Rim Sashlock is locked and unlocked by a key from either side with the latch bolt withdrawn by knob from either side, some rim sash locks are handed and need to be ordered Left or Right Hand, others are reversible. 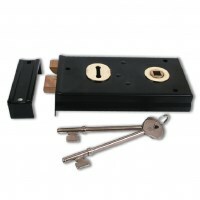 Available from Basta, Legge, Union and Yale in many sizes and colours.